Preheat the oven to 180°C, 355°F fan oven, Gas Mark 4. Cut each piece of bacon in half so that you have 16 long thin bacon strips. Put the sausages in a bowl with the honey and mild mustard and mix to coat evenly. Wrap each sausage in a piece of bacon. 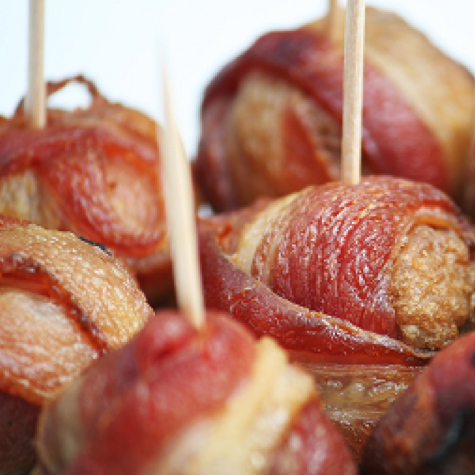 Place the pigs in blankets on a baking sheet and roast for 30-35 minutes until nicely browned and cooked through.